» Why Are Aero Bars Banned In Road Races? ​Need Speed For Your Bike? Why Are Aero Bars Banned In Road Races? The Ten Best Triathlon Races In The U.S.
There’s no doubt that a pair of aero bars mounted to your bike can give you a whole list of benefits, but there are times when they’re just not safe to use. Riders might be shocked to learn that aero bars aren’t usually allowed in road races, but this is more for the safety of the rider and those surrounding them. The legality of aero bars depends on the individual event, as there are some races opposed to their use and others which encourage them. Responsible riders will be aware of the rules and regulations before entering an event, not only for their safety but others too. If you’re new to cycling or have never looked into road races before you might be wondering why aero bars banned in these types of competitions, so we’re here to answer all of your questions. We’ve compiled a list of some of the more common reasons that road race aero bars aren’t allowed with some suggestions about what you can do. Anyone who’s ridden with aero bars before will know that their main benefit isn’t steering, and that’s why they’re normally used for triathlons or longer stretches of road. A road race usually has quite sharp corners and tight turns while moving at fast speeds, so it’s not always the best accessory to have attached to your bike during this time. You’ll need to make quick decisions and have sharp focus when turning and unfortunately this is not an area where aero bars excel. When you’re riding alongside others this steering can be even more of a problem, as you can imagine what you happen if you were to crash amongst a group of other cyclists. Not only will they be of no benefit to you while you ride a road race, but they’ll pose a danger to others if you’re not able to steel correctly and get out of someone’s way. There’s one thing you might not consider when riding alone with your aero bars attached, but you’ll think of it for sure if you get up close and personal with other riders like you would in a road race. Due to the shape of aero bars, there’s the very real risk that a collision with another racer could be extremely painful and cause injury. Crashing into another rider is bad enough even without aero bars, but with two-pronged instruments coming from the front of your bike, you could do serious damage to someone else and yourself. 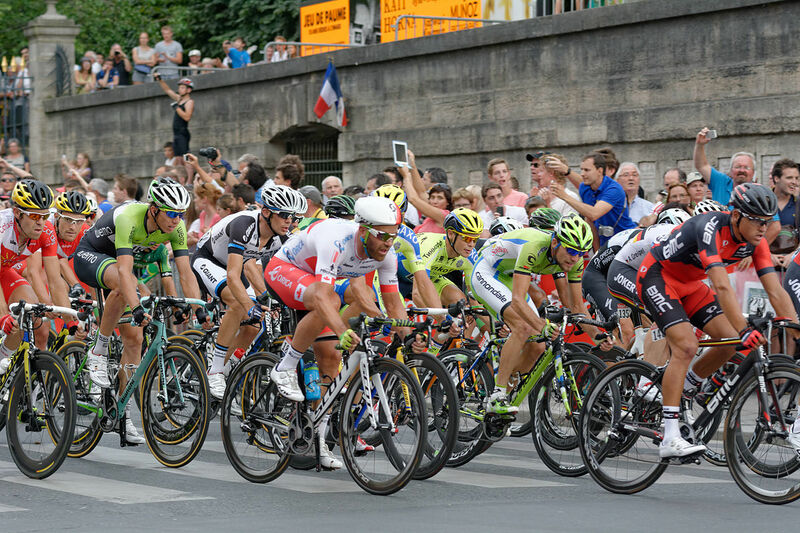 For this reason, when people are riding as close and as fast as they do in a road race it’s best to leave the sharp and pointed objects at home. 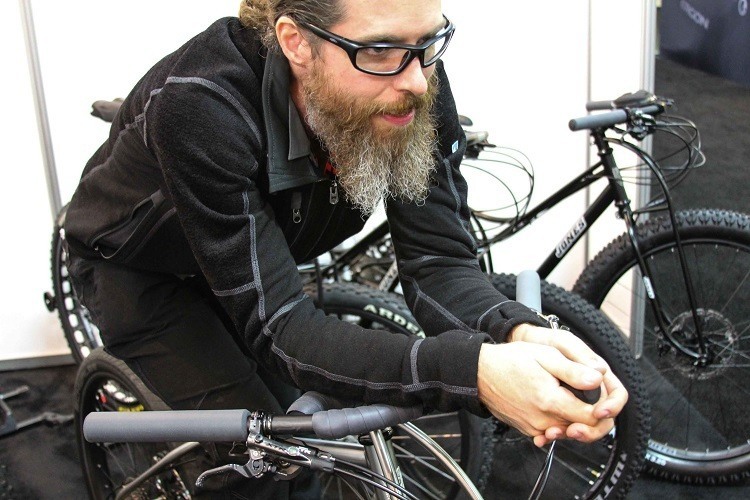 Riding in a triathlon comes with its own rules about how close you can get to someone else, so there’s rarely going to be a time where your bars can get near someone else. However, a road race usually features a group of riders in ridiculously close vicinity to each other and trying their best to get to the finish line, and this isn’t a situation where you need anything extra sticking out from your bike. 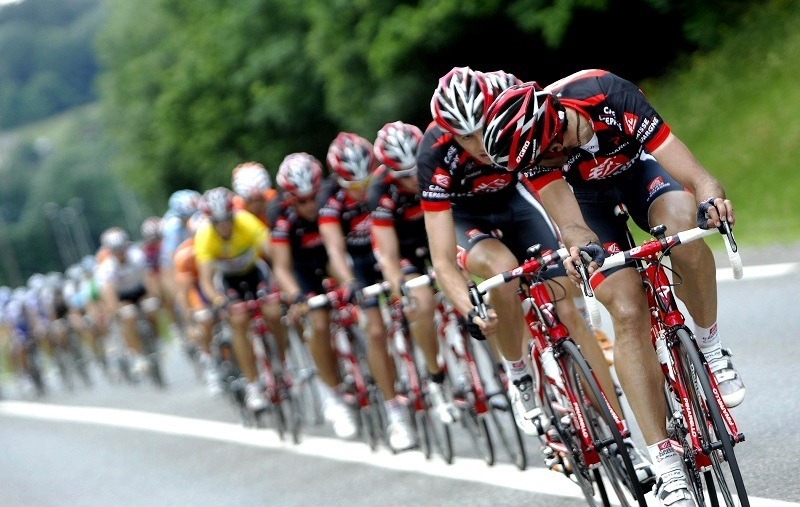 The main reason that you aero bars banned in road races is due to these larger groups of cyclists and how closely they’re known to ride together. You won’t have easy or quick access to your breaks if you need them, and anyone who’s ridden in a road race will understand why this is such an important feature to have on your bike. The same goes for anyone riding in a group, and not just a race, as your aero bars can be just as dangerous here as well. When you’re riding by yourself and trying to beat your personal best or competing in a triathlon, there are so many ways that aero bars can help. They keep your legs rested and fresh for the next part of the competition, reduce overall fatigue, and help maintain a narrow and aerodynamic profile that improves your speed. If you were to apply all of these to a road race then it would definitely give an unfair advantage, but for most road races they simply aren’t set up to allow for any of these benefits. Riding in a group or race means you’re using the draft of others to help propel you and there’s no need to attach your aero bars. For all the reasons mentioned above they often do more harm than good, and they just won’t give you the edge that they do in other settings. There are plenty of reasons why these bars are dangerous in a closely ridden road race but make them perfectly fine and even recommended for solo rides or competing in triathlons. Attaching aero bars for a road race will see you instantly disqualified and probably questioned by the riding community, so it’s not worth even attempting. There’s no denying that aero bars have a number of benefits for the individual rider, but when competing in a road race you need to be respectful of others and that includes watching out for their safety. 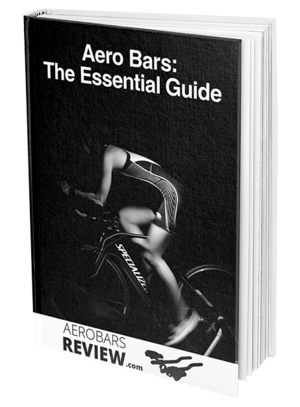 Aero bars are best kept to yourself for riding, time trials or triathlons, and any other time would simply be irresponsible cycling protocol. ​Need Speed For Your ​Bike?